Germany’s socialist foreign minister just said the EU should “step up pressure” on Russia. Its chancellor aired “political” doubts on a Russian pipeline. But is the new coalition really more hawkish than the last one? He backed Western military strikes on Russia’s ally, the Syrian regime . “The repeated use of chemical weapons cannot be left unanswered,” he said, referring to Syrian leader Bashar al-Assad’s latest attack on civilians. “We need to keep up political pressure on Russia and we’d like to step it up even further because Russia needs to be prompted to change its behaviour,” Maas said. “What we have seen from Russia in the past months and weeks – Ukraine, Salisbury, Syria, hacker attacks … or interference in democratic election processes in the West, all this requires a clear answer,” he said, referring to Russia’s chemical attack in Salisbury, UK. The foreign minister sounded more hawkish than his predecessors in Germany’s previous coalition, the SPD’s Sigmar Gabriel and Frank-Walter Steinmeier. They also took a principled stand over the Ukraine conflict and on previous US strikes in Syria, but both men were better known for urging “dialogue” with Russia in the EU Council than for advocating extra “pressure”. But Germany’s conservative chancellor, Angela Merkel, last week, raised “political” questions over the project, breaking with her former line that it was a purely “economic” one. 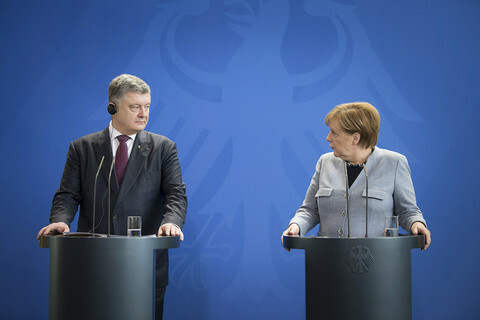 “The Nord Stream 2 project is not possible without clarity of how Ukraine’s transit role will continue … political factors must be taken into account,” she said in Berlin, pointing to the risk that Russia could use the pipeline to cut off Western allies. For one expert, Maas’ remarks on Friday showed that the SPD’s “tone” on Russia had “changed a bit, but not the substance”. The party, in Gabriel and Steinmeier’s day, also “stood by the transatlantic alliance, to defend a rule-based international system” when it came to “serious security questions”, Andreas Goldthau, an international relations professor at the Royal Holloway University of London, told EUobserver. But for another expert, Russia will find it harder to get along with Maas than it did with the party’s old guard, a group epitomised by Gerhard Schroeder, a former chancellor who went to work as a Kremlin consultant. “Maas is from a new generation in the SPD … who have no historical and personal links with Russia and a very rational and pragmatic view on Russia,” Stefan Meister, a Russia scholar at the German Council on Foreign Relations, a think tank in Berlin, said. “He [Maas] is much more a rule of law and human rights person, close in his assessment on Russia to Merkel,” Meister said. This “will shift German policy on Russia” and “change the rhetoric of the German foreign ministry,” he said. “Many things can happen until then … If something happens during the weekend, we’ll have to adapt to it,” an EU diplomat said, referring to the risk of escalation. The ministers planned to voice “crystal clear” condemnation of Assad’s chemical attack and to discuss “going further, toward sanctions” on Russia and Syria, the diplomat said. They also planned to discuss the Ukraine conflict and areas for “selective engagement” with Russia, he added. 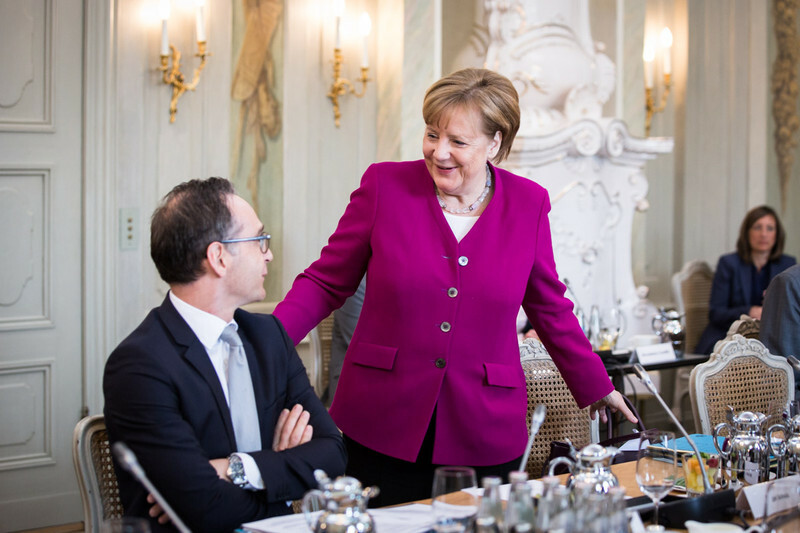 Nord Stream 2 was not on Monday’s agenda, but ministers were likely to ask Maas where he stood on the project in light of Merkel’s remarks, the diplomat said. But for the Nord Stream 2 consortium Merkel’s comment on Ukraine represented nothing new. “The position of the German government on Nord Stream 2 and the future role of transit through Ukraine has been known since the project’s inception in 2015,” the consortium’s Sebastian Sass told EUobserver. “Outstanding permit decisions [by Denmark and Sweden] are expected in the next months, allowing us to start construction this year,” Sass said. The current German coalition was no more likely to halt the pipeline than the old one despite the “new generation” in the SPD, Goldthau and Meister, the German experts, also said. “I don’t read Merkel’s statement as an objection in principle to Nord Stream 2, but it opened the door for Ukraine to remain a transit country post-2019,” Goldthau said. “No change [on Nord Stream 2] on the German political side,” Meister said. “Merkel is getting more angry with Russia because of Salisbury, a cyber attack on the German foreign ministry, and the chemical weapon attack in Syria, but she is still not willing to stop the project,” he said. “If nothing serious happens with Russia, it will come and the German government will support it,” he said.